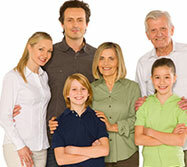 Welcome to Hansen DDS online! Nothing reflects your happiness like a healthy, bright smile. Dr. Gerald Hansen and his team of friendly professionals provide high-quality general and cosmetic dentistry in a family-oriented, patient-focused environment. Our entire team cares about our patients individually and works hard to make them happy and comfortable. Your smile is our priority! Comprehensive dental care provides our patients with all the tools and services they need to get a healthy, beautiful smile for life. Our treatments include preventive exams and cleanings, oral cancer screening, sleep apnea and snoring appliances, in-house crowns, mini implants, and oral surgery. 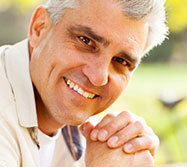 We also offer a wide range of general and cosmetic dentistry, including teeth whitening. Our dentist and team utilize the latest in dental technology. Our CEREC® machine allows us to construct and place dental crowns in one visit. Our office has all-digital X-rays, including panoramic and a 3D CT imaging X-ray. We love dentistry and it is our pleasure to help our patients have a total dental and medical approach in treatment. Since 1988, Dr. Gerald Hansen has happily provided dental care in Reno, Nevada, as well as the neighboring communities of Sparks, Carson City, Fernley, and Fallon, Nevada, and Truckee, California. We invite you to contact our office to schedule an appointment and find out what a difference experience can make. Call today! Copyright 2019 © Hansen Cosmetic Family Dentistry. All rights reserved.